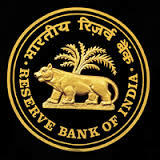 Reserve Bank of India (RBI): The Reserve Bank of India (RBI, is India's central banking institution, which controls the monetary policy of the Indian rupee. It commenced its operations on 1 April 1935 during the British Rule in accordance with the provisions of the Reserve Bank of India Act, 1934. Note: For full details of RBI Recruitment 2016 Notification Age, Educational Qualification, Pay Scale, Selection process, click on below links.